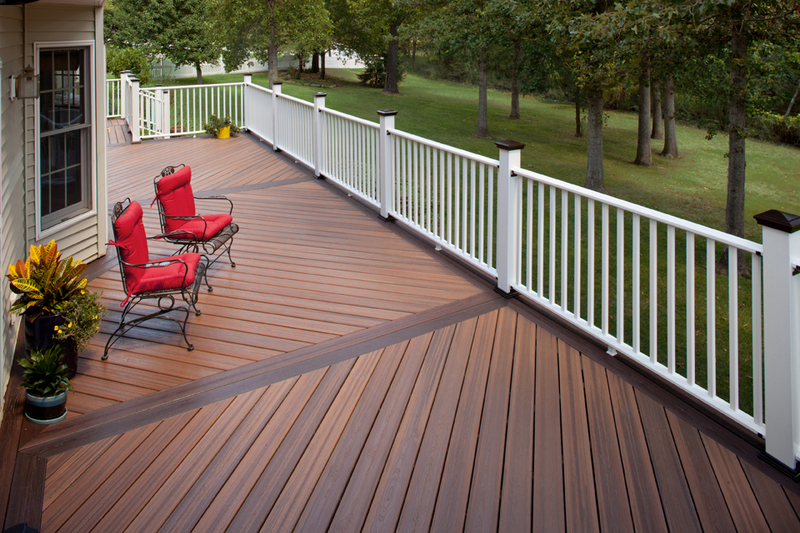 Low maintenance, safety and durability are only some of the more obvious reasons why Swiss Valley Fence chooses to install EverGrain® Composite Decking. With its dramatic deep grain beauty and more random wood patterns, compression molded EverGrain® Composite Decking has always offered an attractive decking option. Now, a new natural beauty is available in a bonded composite deck board that takes EverGrain’s performance a step further. Introducing EverGrain® Envision™—made with an added layer of protection that is bonded in the compression manufacturing process for excellent durability and resistance to delamination. The new outer layer of EverGrain Envision is also specially formulated to create a low-sheen appearance for more natural wood beauty. A better manufacturing process makes for better deck boards. That’s the TAMKO® philosophy—and why we, at Swiss Valley Fence, believe the compression molding manufacturing process of EverGrain® Envision™ makes it a better compression molded deck board. The compression process helps create a physical bond between the outer layer and core board for added protection, while also enabling the use of more random wood grain patterns that help create the more natural look and texture of real wood. Contact us to set up an appointment for a custom consultation. Traditional in nature, the Envision Inspiration® line subtly blends colors to arouse the tones of real wood planks and boards. Allow the Inspiration® deck board to enhance the ambiance of your home with ingrained beauty. 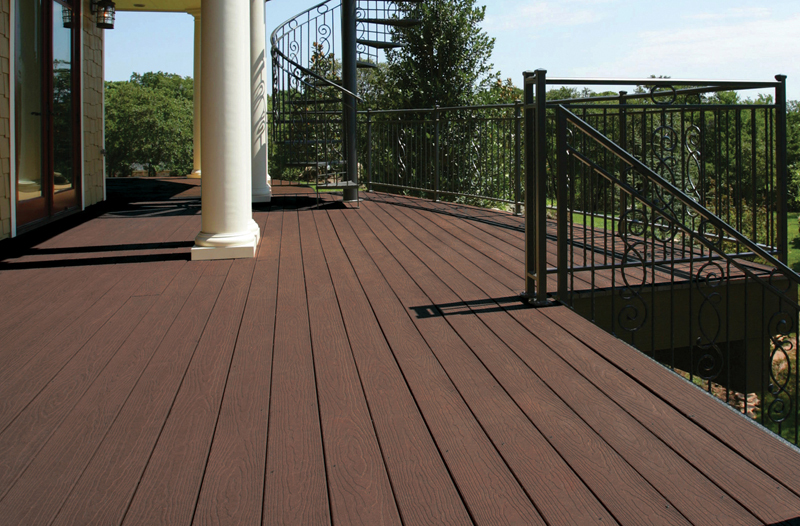 With its dramatic deep grain beauty and more random wood patterns, compression molded EverGrain® Composite Decking has always offered an attractive decking option. Now, a new natural beauty is available in a bonded composite deck board that takes EverGrain’s performance a step further. Introducing EverGrain® Envision™—made with an added layer of protection that is bonded in the compression manufacturing process for excellent durability and resistance to delamination. The new outer layer of EverGrain Envision is also specially formulated to create a low-sheen appearance for more natural wood beauty.